We’d love your help. Let us know what’s wrong with this preview of Hangar Flying by Merrill A. McPeak. A riveting, personal account and a new standard in the literature of military aviation. General Merrill A. “Tony” McPeak was the 14th chief of staff of the US Air Force. 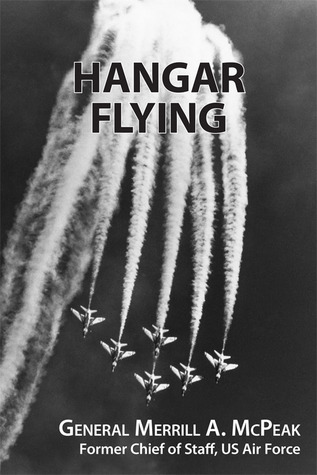 HANGAR FLYING is a memoir of his early service in fighter squadrons, a story about military flying in the tumultuous 1960s. The book may be regarded as a primary source for understanding what happened in f A riveting, personal account and a new standard in the literature of military aviation. To ask other readers questions about Hangar Flying, please sign up. During my career as a fighter pilot I served under several USAF chiefs of staff. Each had his eccentricities, but General McPeak (or, as we called him, Skeletor) stood out. He didn't like the word "regulation," forcing every existing USAF regulation to be rewritten as an "instruction." He introduced a new uniform with Navy-style sleeve rank; then, after every officer had been forced to buy one, dictated a return to the old Class A uniform. He deactivated the Tactical Air Actual rating: 3.5 stars. During my career as a fighter pilot I served under several USAF chiefs of staff. Each had his eccentricities, but General McPeak (or, as we called him, Skeletor) stood out. He didn't like the word "regulation," forcing every existing USAF regulation to be rewritten as an "instruction." He introduced a new uniform with Navy-style sleeve rank; then, after every officer had been forced to buy one, dictated a return to the old Class A uniform. He deactivated the Tactical Air Command and Strategic Air Command and combined them into a new Air Combat Command. He forced us all to learn and implement the then-current (and utterly meaningless) civilian business management fad, Total Quality Management. Everyone thought he was an egomaniac run wild. When I heard of this book those memories came rushing back, and I almost didn't buy it. But then I remembered when General McPeak, some years after he had retired, publicly called then-President George W. Bush "stupid," and I thought, "what the hell, I'll give it a try." And I was very pleasantly surprised. Because this isn't a book about being a chief of staff, or a general, or even a colonel. It's a book about flying fighters. 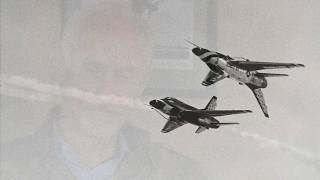 McPeak recounts the flying portion of his career, from flight training to F-100s to F-104s and back to F-100s, with a stop along the way for a tour with the Thunderbirds, leading to his time in Vietnam where he flew as a Misty FAC. Exciting stuff, great war stories, and plenty of sensible advice about flying and fighting. McPeak writes with both pilots and non-pilots in mind; he's clear and to the point, and he has a gift for explaining the complexities of air-to-air and air-to-ground maneuvering. It's a great history of an important era in the development of modern fighter tactics and weapons, and along the way he talks about the other officers he flew with, some of whom I later came to know well when I followed McPeak's footsteps into fighters. My only complaint about this gripping narrative is that McPeak self-censors. He has more to say; he hints around at some of the institutional buffoonery he encountered during his flying days, especially the outrageously stupid organizational ideas and decisions that caused us to be so ineffective in Vietnam, but he restrains himself, cuts himself off short. I wanted to say, c'mon Skeletor, you called GWB stupid when he was still presidentin'; you can be more honest about what you thought about the nation's civilian and military leadership during a decades-old war. Much has been written about this period in America’s military history (the 60s), and yet Hangar Flying is a rarity: a beautifully written, impressively detailed memoir that tackles these Cold War years from the air. The launch of Merrill “Tony” McPeak's flying career gives an unimpeded, pilot’s view on the decade: from his youthful education in fighter squadrons to hundreds of performances around the world as a solo pilot with the Thunderbirds and finally close to 300 missions in Vietnam. What f Much has been written about this period in America’s military history (the 60s), and yet Hangar Flying is a rarity: a beautifully written, impressively detailed memoir that tackles these Cold War years from the air. The launch of Merrill “Tony” McPeak's flying career gives an unimpeded, pilot’s view on the decade: from his youthful education in fighter squadrons to hundreds of performances around the world as a solo pilot with the Thunderbirds and finally close to 300 missions in Vietnam. What further sets Hangar Flying apart, however, is the fact that McPeak would later rise to the rank of four-star general and ultimately serve as the Air Force’s 14th chief of staff. That unique perspective makes Hangar Flying the only history of its kind, describing and evaluating the use of air power, historically and at present, through the lens of a seasoned combat pilot, Air Force official, and former member of the joint chiefs of staff. Historians will be grateful for the general’s candid, critical, first-hand analysis of America’s war effort in Vietnam. Aviation fans will relish McPeak’s in-cockpit evaluations of fighter jets and his stunning descriptions of Thunderbird aerobatics. And still more readers, any who seek well-told stories of eminently notable lives, will appreciate the cultural and domestic threads woven into the fabric of this fascinating book. General Merrill A. (“Tony”) McPeak entered the Air Force in 1957 as a Distinguished Graduate of the San Diego State College ROTC program. A career fighter pilot, he spent two years with the Air Force’s elite aerobatic team, the Thunderbirds, performing before millions of people in nearly 200 official air shows in the U.S. and overseas. He flew 269 combat missions in Vietnam. Senior leadership assi General Merrill A. (“Tony”) McPeak entered the Air Force in 1957 as a Distinguished Graduate of the San Diego State College ROTC program. A career fighter pilot, he spent two years with the Air Force’s elite aerobatic team, the Thunderbirds, performing before millions of people in nearly 200 official air shows in the U.S. and overseas. He flew 269 combat missions in Vietnam. Senior leadership assignments included command of the 20th Fighter Wing in NATO, the Twelfth Air Force (and concurrently U.S. Southern Command Air Forces) and the Pacific Air Forces. He was Air Force chief during a period of very active US involvement overseas, including Operation Desert Storm. While leading the Air Force, he conceived and executed the most extensive reorganization in its history, creating a service better suited to meet the nation’s defense needs.